Future of the 100 dollar note in jeopardy in push for cashless society. Federal Government taskforce to crack down on cash economy, assess future of $100 note. 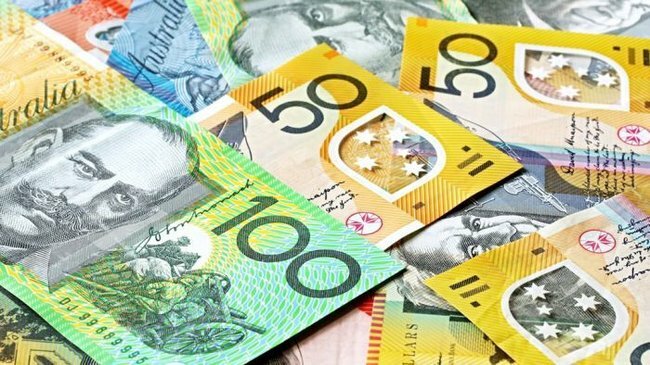 The Federal Government has flagged a crackdown on the cash economy in a bid to reclaim billions of dollars in lost revenue and reduce welfare fraud. Minister for Revenue and Financial Services Kelly O’Dwyer told the ABC a special taskforce would be created to police the cash economy, which is worth an estimated $21 billion a year or 1.5 per cent of gross domestic product. The taskforce will be detailed in the Mid-Year Economic and Fiscal Outlook due to be released next week, which the Federal Government hopes will ease the concerns of global rating agencies about borrowing costs. Ms O’Dwyer described the cash economy as “the black economy” and said much of its revenue was owed to the Australian people and major infrastructure projects, including schools and hospitals. “Frankly, it is critical for those people who are honest, law-abiding people, who are actually doing the right thing and paying their fair share of tax,” she said. Two years ago, the Australian Tax Office (ATO) launched a similar campaign and visited small businesses dealing in cash across Australia. The office warned up to 270,000 companies were dodging GST and business tax payments by not accurately reporting their income. Ms O’Dwyer said the taskforce would consider banning cash payments over a certain amount, drawing on regulations introduced by the French Government in 2013. “I’m not going to put a limit on what the taskforce can look at,” she said. Ms O’Dwyer said the new taskforce, which would be led by former global KPMG boss Michael Andrews in cooperation with the Reserve Bank, would also assess the future of the $100 note. “There are about $30 billion worth of $100 notes in circulation,” she said. Ms O’Dwyer would not rule out taking the $100 note out of circulation and said the taskforce would look at all issues and make sensible recommendations. “There is nothing wrong with cash — the issue is when people don’t declare it and when they don’t pay tax on it,” she said. “That is an issue when it comes to welfare fraud, where people have been paid cash and are also claiming welfare.